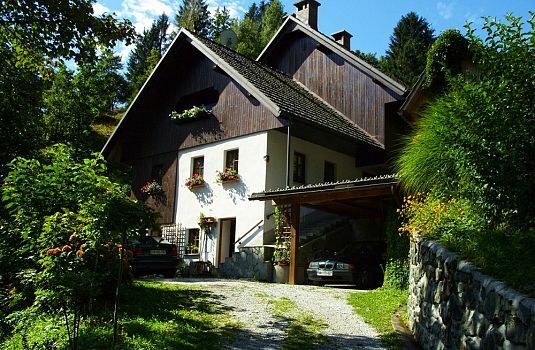 Charming holiday chalet on Crnovrska plateau at 683 m above sea level in the village of Crni Vrh nad Idrijo between idrija (20km) and Ajdovščina (20km). 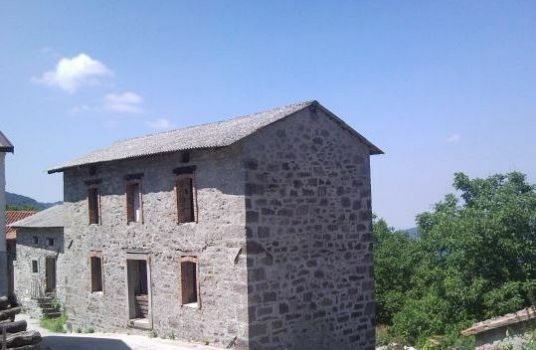 The property spreads over 3 floors with one bedroom and storage on the lower ground floor, entry room, open plan kitchen with living room and bathroom on the upper ground floor and 2 more bedrooms in the loft. The living room and one of the bedrooms have access to separate balconies, the downstairs bedroom has access to terrace. The house is surrounded by a good sized garden. 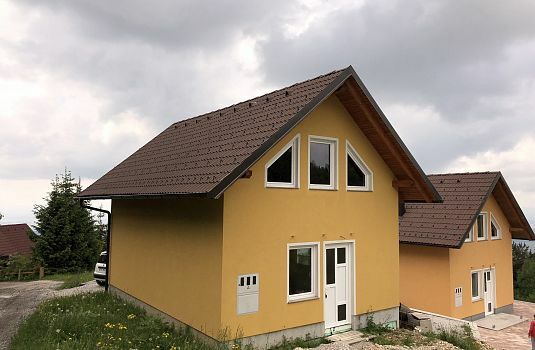 The village of Crni Vrh lies on a plateau between Idrija on one side and Ajdovscina on the other with a small ski resort in the village only 5 minutes drive from the house and all amenities in the centre of the village. 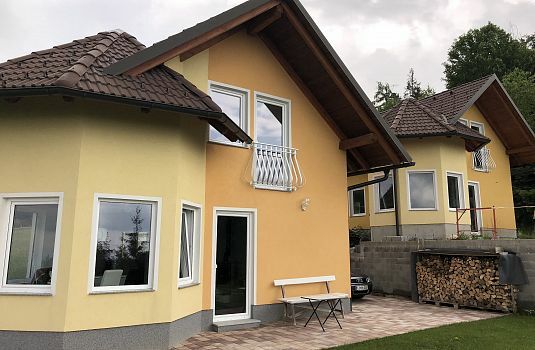 The area offers numerous hiking and mountain cycling trails on the plateau, the capital Ljubljana is less than an hour drive away and the location in an interesting area for its very close proximity to both the Alpine and Mediterranean zones of Slovenia.